Contelos GmbH is one of Germany’s top providers of computer-aided design solutions. “We started partnership-based cooperation in 2012 and have been able to learn a lot from AGACAD. The company’s knowledge of everything related to BIM is extremely valuable to us, as is their industry expertise and profound technical know-how. 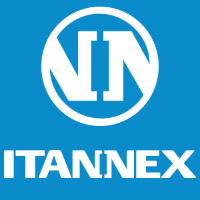 ITANNEX is a leading BIM consultancy in the Benelux region. “We began work with AGACAD some 7 years ago, keen to embed their BIM tools in our own SmartRevit products. Technically they’re very good – AGACAD’s solutions deliver what they promise and fill in gaps in our portfolio. The team also helps us program custom solutions. Omnix International provides best-in-class IT solutions across the Middle East and North Africa. “We’ve worked with AGACAD since 2014 to bring cutting-edge BIM solutions to Revit professionals across the Middle East. They’re truly professional yet also down-to-earth. AGACAD is an energetic team of visionaries that’s very responsive, flexible and proactive – technically and commercially. “As almost all AEC firms are now rapidly implementing BIM, we see a huge opportunity for AGACAD’s exclusive solutions. Some, like MEP Smart Hangers and Cut Opening, are already highly rated and on demand in our region. PSS is a Russia-based engineering firm specialized in CAD, BIM and Enterprise Management. “We reached out to AGACAD in 2012 about promoting their Revit tools and solutions in the Russian market. They quickly localized the products and our partnership has been smooth ever since. The team is extremely competent both on the technical side and in sales, and CEO Donatas Aksomitas is a true BIM expert.